To make a reservation call 843-235-9600. Please email Cindy at conversationsfromapage@gmail.com for more information. NOTE: Tickets are $20. Ticket sales to benefit the Tybee Post Theater, a restored 1930 movie house originally built for the Fort Screven army base. Seaside Sisters will be on-site selling books by all three authors. Your $45 ticket includes a signed first edition of the new book, a swag bag filled with goodies, a signature High Tide Club cocktail, delicious food, and more! A portion of proceeds and raffle (with amazing prizes!) to benefit The Georgia Conservancy. This event is free and open to the public. Suggested $10 donation plus a portion of proceeds to benefit The Georgia Conservancy. First 100 guests with purchase of book receive a VIP Savannah swag bag full of gifts from local merchants. Receive a signing line ticket and reserve your seat (one seat per book purchase) with all QRB purchases of The High Tide Club. General unreserved seating will also be available through a signing line ticket is required to get book signed. Registration is required. Several ticket options are available – including registering to attend (no cost) or registering for a fun lunch from Footnote and a copy of the new book! Alongside fellow authors Holly Dunn, Greer Henricks, Sarah Pekkanen, Edward Lee, James Swanson, and Elaine Weiss. Moderated Q&A session followed by a book signing. Alongside fellow authors Holly Dunn, Greer Henricks, Sarah Pekkanen, Edward Lee, James Swanson, and Elaine Weiss. Lunch is $30.00 per person, and the luncheon is held from 11AM -1PM. The presentation precedes the lunch and the luncheon is followed by a book signing at Litchfield Books. Attendees will receive a $5.00 discount off the price of the featured book during the book signing. To make a reservation for the luncheon call 843-235-9600. For more information, click HERE. Meet MKA by the flower section. Pick up your Mother’s Day flowers and a signed book—the perfect gift! For more event info and to reserve a copy of the book, click HERE. Celebrate Mother’s Day at Sundog Books with Mary Kay Andrews. For more event info, click HERE. 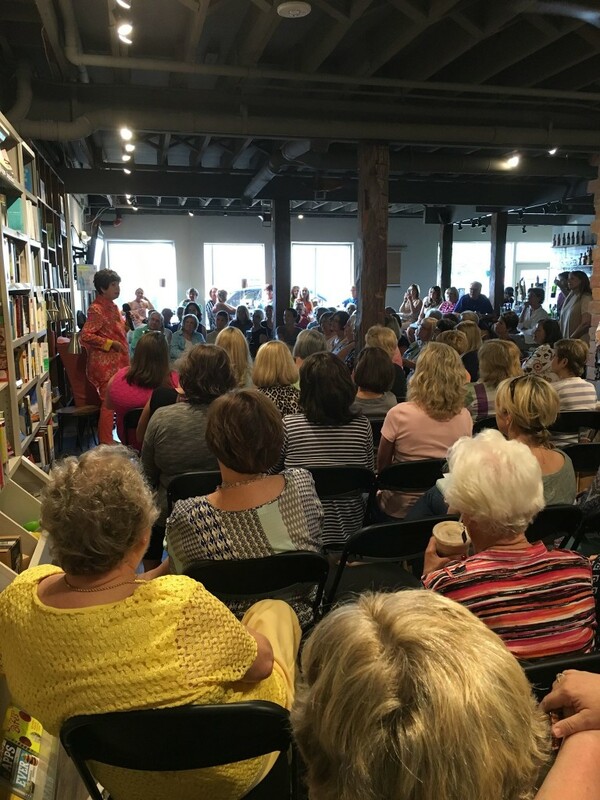 Join us at River Road Books for a fun night with one of our favorite authors, Mary Kay Andrews! We are switching it up this year and hosting Mary Kay at our store so don’t delay in reserving a spot, space is limited! Please RSVP to: riverroadbooks@verizon.net. More info HERE. Join us in the event space at Sailor Trading. Your $40 ticket includes a signed first edition hardcover book, a discussion with the author, light brunch fare & beverages, and swag bags for first 50 guests. There is no parking lot. Please park on Main Street by CVS and on neighboring side streets and walk in. Sailor Trading is adjacent to the RR tracks behind Ward Wight Sotheby’s. For more info, click HERE. Literary talk and book signing featuring Mary Kay Andrews, Mary Alice Monroe, and Patti Callahan Henry. This is a ticketed event. This event is free and open to the public, but registration is required at youranswerplace.org. Proof of purchase of The High Tide Club from Left Bank Books will be required to enter the signing line. This is a Complimentary OPEN House Event. Registration is required at www.MyMCPL.org/Events/Speaker-Series or Call the Library at 816-883-4900. Rainy Day Books will have Mary Kay Andrews’ books for Sale at this Event. Seating is General Admission. Book signing and a sip-n-sample! 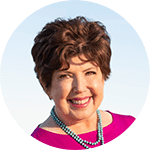 Mary Kay will be meeting and greeting fans and signing copies of The High Tide Club, The Beach House Cookbook, Summer Rental (set in Kitty Hawk!) and other titles. We will also be sampling recipes from her 2017 Beach House Cookbook–a collection of recipes we fell in love with and rely on for easy breezy summer cooking and entertaining! Waverider’s offers a full range of wine and beer options including mimosa flights! For more event info, click HERE. Join us for morning coffee on Memorial Day with Mary Kay Andrews who will be meeting and greeting fans and signing copies of her books. For more event info, click HERE. This event is free and open to the public. To join the signing line, please purchase a copy of the author’s latest book, The High Tide Club, from Anderson’s Bookshop. To purchase please stop into or call Anderson’s Bookshop Naperville (630) 355-2665. Click HERE for more event info. Cuyahoga County Public Library and Vitamix are partnering to bring you a joint literary and culinary adventure! We will present a live book discussion that highlights a delicious discussable book as well as a new recipe influenced by the book complete with samples. Copies of the book are available at the Solon library for pickup or reserve at your local branch. Register here! Books will be available for purchase and signing courtesy of Mac’s Backs Books on Coventry. Free and open to the public. Register here! This event requires a $5 ticket which may be used toward any purchase the evening of the event. BUY TICKETS HERE! Guests should park at 153 East Crogan Street. Free and open to the public. Books will be available for purchase and signing. For full event details, click HERE. The event is free to attend. Purchase of The High Tide Club from FoxTale is required to earn a place on the signing line. Free and open to the public. RSVP by calling Bookmiser at 770-235-6009. Click HERE for full event details. Free to Literary Guild members and $10 for guests. Reservations recommended. Register here!